British all-cargo airline, CargoLogicAir (CLA), has confirmed new appointments to its executive and management teams to supports its growth strategy, as it prepares to take delivery of its next Boeing 747 freighter. 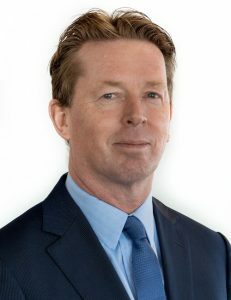 Frank De Jong joins CargoLogicAir as Chief Operations Officer. With a background as part of the Air France/KLM Cargo platform, Frank previously held a number of executive roles with Martinair. Prior to taking up this new post, he was Director Product Development at CargoLogicManagement, a British management consulting company serving the international cargo airlines of Volga-Dnepr Group and its strategic partners. At CLA, Frank assumes responsibility for Flight, Ground and Technical operations, reporting to David Kerr, Chief Executive Officer, with a mandate to take the airline’s operational and service delivery performance to the next level. Frank succeeds Sten Rossby, who takes up another executive role in the industry. Sarah Owen is promoted to the role of Head of the Operations Control Centre at CLA, based at CargoLogicAir’s new headquarters in Stockley Park near London Heathrow Airport. The appointments come as CLA prepares for the next stage of its fleet expansion. Subject to regulatory approvals, CargoLogicAir will take delivery of its fourth Boeing 747-400ERF production freighter in October 2018.